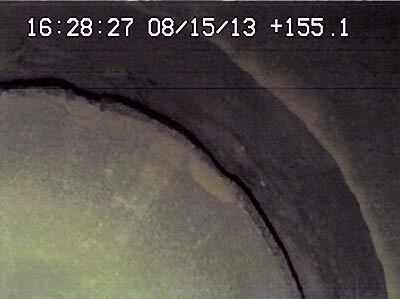 ULC Robotics’ Small Variable Geometry Crawler (VGC) provides gas companies with live, high-resolution video inspection of medium diameter steel or cast iron gas mains. Using the Small VGC, gas companies can assess the conditions of their mains as well as locate cracks, damaged pipe, unknown branches, service tees, valves, fittings and water intrusion or debris. 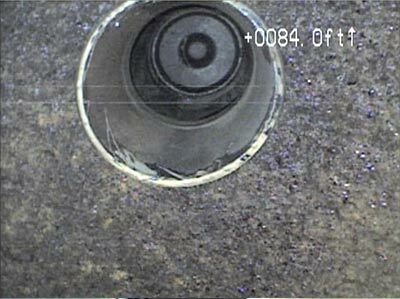 This inspection is performed while the main remains live without any interruptions in gas service. With the onboard pan/tilt camera, the Small VGC allows gas utilities to perform a detailed inspection of the main and features within the main. The Small VGC is equipped with motorized navigation allowing the system to travel farther down medium diameter gas mains than push rod cameras. 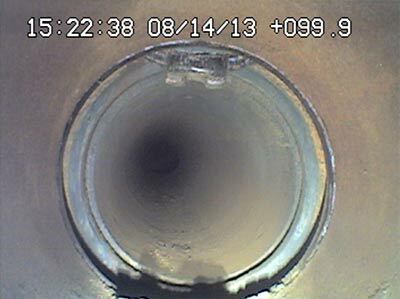 With this feature, utilities can inspect more gas main while reducing excavation costs. The Small VGC is capable of launching no-blow into 12”-18” gas pipelines so service can remain live for customers and infrastructure maintenance costs stay as low as possible. In addition to being used for pre- and post-rehabilitation surveying, the Small VGC can locate features such as branches, cross tees, service lines, stub services and valves as well as pipeline damage. The Small VGC is watertight, allowing the crawler to navigate pipelines and provide high resolution imagery even when there is some water present in the pipeline. The pipeline data obtained using the Small VGC helps gas utilities assess the conditions inside gas mains and prioritize maintenance tasks. Simple controls allow the operator to focus on inspecting the main rather than controlling the inspection crawler. 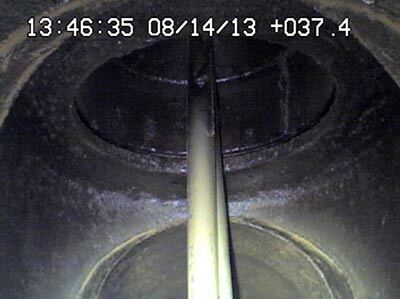 Once inside the main, the Small VGC pan/tilt camera is positioned in the center of the pipe to ensure a high quality inspection of the entire main, not just the bottom of the pipe. Have a question? Use the form below to ask a question about the Small VGC and a member of the ULC team will respond as soon as possible.